Law firms strive to drive satisfactory results for their clients, thus increasing profits and efficiency. One of the key components to this success is a solid company culture. If an employee feels valued and is happy with his or her job, place of work, and co-workers, he or she will be more likely to be productive and successful. 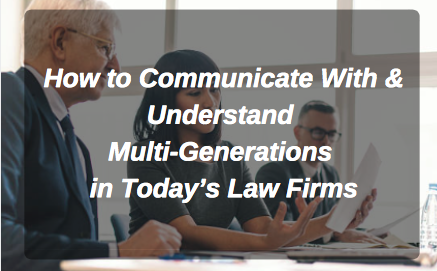 Creating (and maintaining) a positive firm culture can be a challenge especially when there are multi-generations employed at your firm.